That are challenging times. Next to the running final sprint of the innogy Innovation Hub IPRIZE, the next steps of the global challenge of 'Free Electrons' are made. Following the high-octane filled Singapore Grand Prix, the Free Electrons Global Accelerator hosted it's third and final module in Singapore with its own fair share of fireworks. The Singapore module is the last leg of the a three-part series aimed to facilitate deal-making between twelve international energy start-ups and eight utilities. The module consisted of strategic deal-making workshops, local ecosystem immersion with Nest, a tour of the Marina Bay district cooling facility, start-up pitches, final pilot project presentations by the utilities and lastly, awarding the Free Electrons Global Leader Award for $175,000. Free Electrons is the global energy start-up accelerator program that connects the world’s most promising start-ups with eight leading utility companies. innogy provided the initial impulse to set up Free Electrons. The eight international utilities who support the program provide access to 73 million customers worldwide: AusNet Services, Dubai Electricity and Water Authority (DEWA), ESB (Electricity Supply Board), EDP (Energias de Portugal), Origin Energy, Singapore Power (SP), Tokyo Electric Power Company (TEPCO) and innogy with the support of accelerator partners, New Energy Nexus, swissnex San Francisco, Energy Excelerator, Powerhouse and Beta-i. 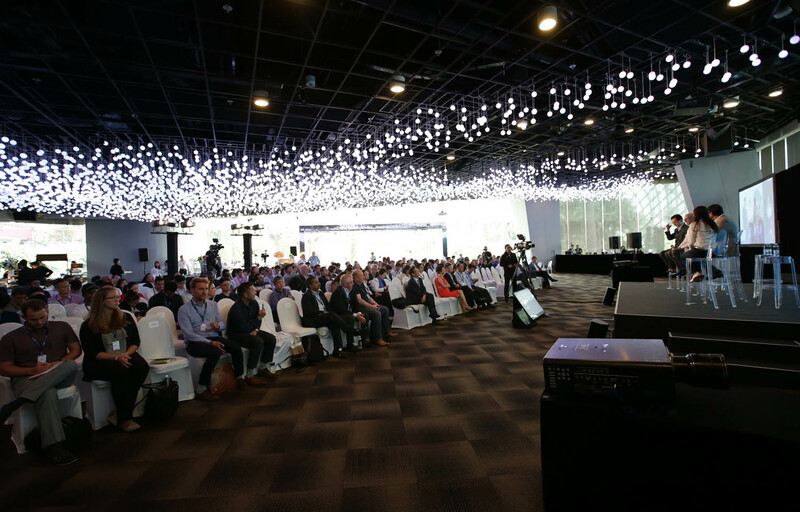 With over 200 regional ecosystem stakeholders, all global utility partners including, venture capitalists, government agencies, industry experts and corporate innovation leaders the grand finale of the Free Electrons Singapore took place in the iconic Flower Dome, the largest greenhouse in the world. Low Yen Ling, Senior Parliamentary Secretary, Ministry of Trade and Industry and Ministry of Education and guest of honor spoke about the importance of new technology and customer facing solutions. 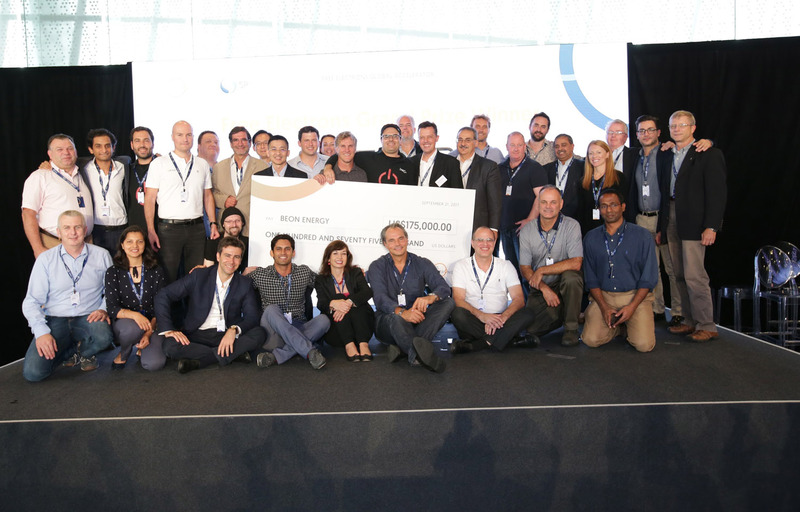 Free Electrons startups pitched, panel experts shared insights on scaling innovation globally and the Free Electrons consortium handed out the grand prize of $175,000. 'Free Electrons' wants to award the most promising start-up whose value proposition is a very strong one for the future energy system. The prize is now awarded to BeOn Energy. The Portuguese start-up offers a DIY solar kit that can plug into an ordinary wall socket and be installed in fifteen minutes. Currently, the company has over 50,000 units deployed around Portugal. During the nine month 'Free Electrons' program BeOn has locked in additional contracts with all eight utilities with the plan to test and deploy specifically in their regions. In a surprise twist of events, BeOn Energy has committed to reinvesting the money into the program and ensuring the utilities and start-ups continue to have the support to close out their deals echoing the power of collaboration. BeOn Energy is just one of the many success stories of the Free Electrons program. Aperio, a cybersecurity firm from Tel Aviv signed commercial contracts with at least three of the utilities. In total, there are 17 signed commercial agreements between the eight utilities and twelve start-ups. As innogy we are very much looking forward for further co-creating and will proceed with the start-ups GreenCom, BeON, HST Solar, Simple Energy und Aperio. Deals are what define the success of the 'Free Electrons' program with each module representing a crucial component in the lead up to the final contract signing. It's great to see that deals with the utilities are not exclusive and each start-up has the ability to sign deals with other utilities. My congratulation goes to all participants of this exceptional program. The start-ups and utilities have created something greater than the sum of individual pieces.